What a bunch of airheads...getting all hyped up over a celebrity. 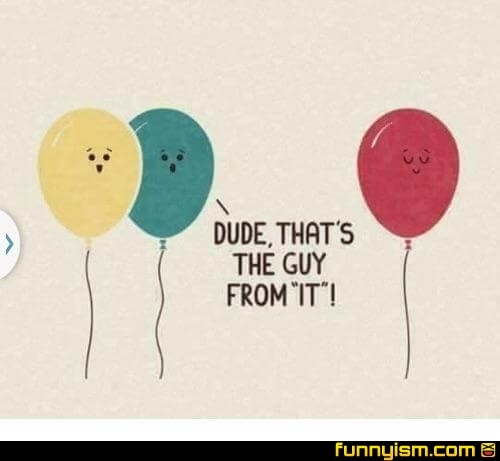 @RubbaDuck, he's just full of hot air. Was up a flash mob? At first I thought this was a guy from the IT department. It took me to long to get it. I kinda thought 99 red balloons before IT. I don’t care about the guy from It. Now if you got the ensemble from Up together that would be amazing!